What Will $1,300 Rent You In Raleigh, Right Now? Listed at $1,275 / month, this 643-square-foot studio apartment is located at 600 St Marys St. In the sunny apartment, you can anticipate high ceilings and hardwood floors. The building offers garage parking, a swimming pool and a fitness center. Good news for pet owners: cats and dogs are welcome. Next, there's this studio apartment located at 1040 Wake Towne Dr. It's listed for $1,235 / month for its 863 square feet of space. Building amenities include outdoor space, a swimming pool, a fitness center and an elevator. In the furnished apartment, there are hardwood floors, a dishwasher, in-unit laundry, a walk-in closet and a balcony. Fortunately for canine owners, dogs are welcome. Here's a 559-square-foot 1-bedroom, 1-bathroom apartment at 401 Oberlin Rd. (at Clark Avenue) that's going for $1,232 / month. In the unit, you'll get hardwood floors, high ceilings, a dishwasher, garden access and a balcony. The building offers outdoor space, a swimming pool, a fitness center and secured entry. Good news for pet owners: cats and dogs are welcome. 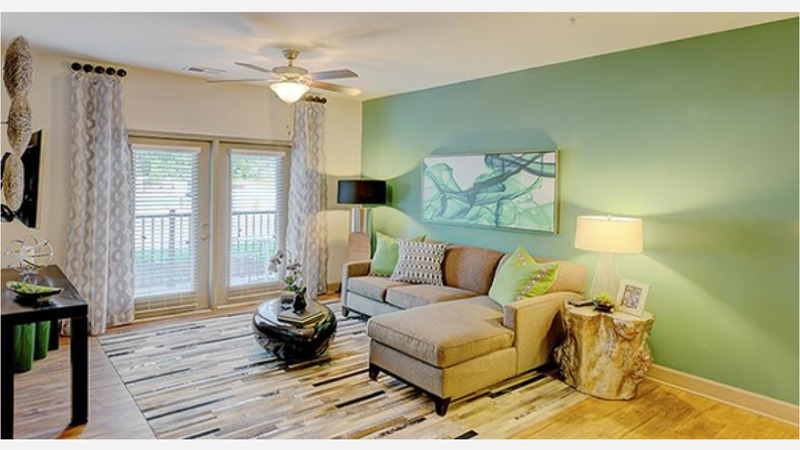 Next, check out this 923-square-foot 1-bedroom, 1-bathroom apartment that's located at 2601 Noblewood Cr. (at Mellowfield Drive). It's listed for $1,209 / month. In the sunny unit, you'll get hardwood floors, a dishwasher, in-unit laundry, garden access and a balcony. The building boasts garage parking, outdoor space, a fitness center, an elevator, storage space and secured entry. Good news for pet owners: cats and dogs are welcome.